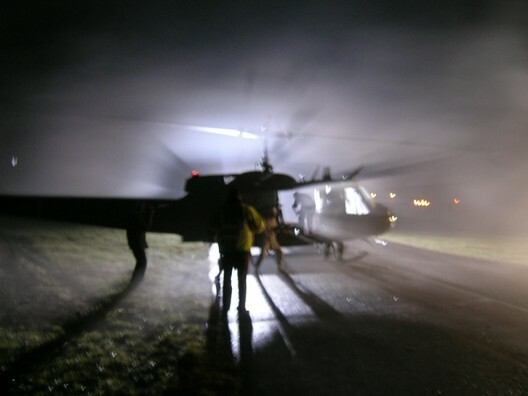 The huey as been caught on film again! We were asked to take part in a film being made for National Geographic Channel. 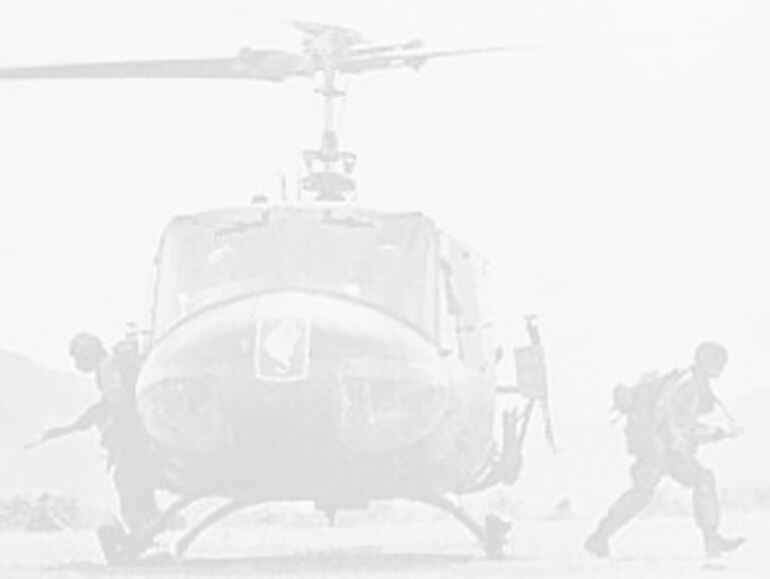 The story was about the kidnapping of Israeli athletes at the 1972 Olympic Games in Munich. Please see the link below for the full story. 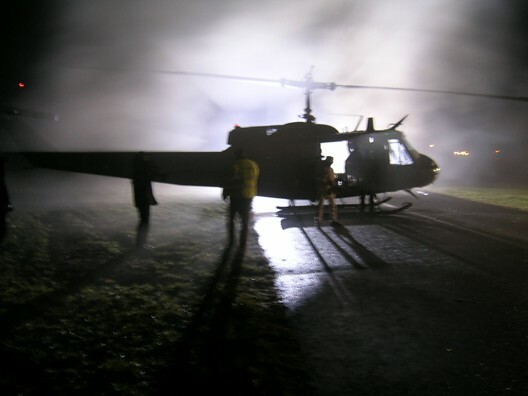 So, on the 24th March filming started at 5pm on a very wet and blustery airfield. 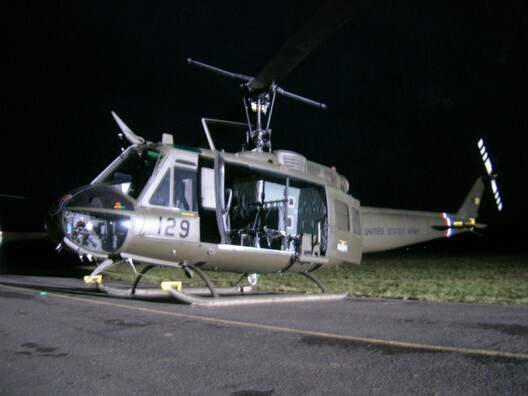 The huey was filmed orbiting the airfield and coming in to land and then, after dark, a sequence was filmed of the terrorists and hostages in the back if the huey with a shoot-out and the huey being “blown up”! The filming finished at 3 o’clock in the morning, a long night! The programme is called “Seconds from Disaster” and is due to be aired on the National Geographic Channel in Sept 2006.